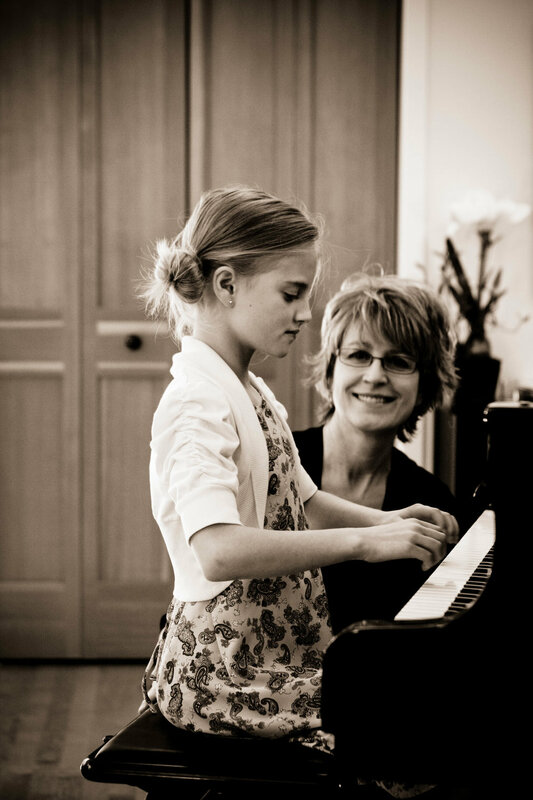 I started piano lessons at age eight and continued with lessons through college. I studied piano with Dr. Edwin LaBounty at Western Washington University, where I graduated with a Music Minor and a BA in Elementary Education. I discovered the Suzuki method in 2000 and began teacher training with SAA Certified Suzuki Teacher Trainer Jacqueline Block at the University of Puget Sound. I continue to study with her weekly, and remain dedicated to improving my skills as a pianist and teacher. I attend at least two teacher workshops a year through professional organizations. I had the good fortune to study directly with Dr. Haruko Kataoka at three different teacher workshops prior to her death in 2004. Dr. Kataoka worked closely with Dr. Suzuki for many years and was a co-founder of the Suzuki Piano Method. I am committed to teaching in a way that honors the life work of both Dr. Kataoka and Dr. Suzuki. In addition to my professional training, I have experience being a Suzuki mom to my son, Harrison, from the time he was seven until his senior year in high school. I have been teaching in my own private studio since 2003.